Tatworth Memorial Hall opened in 1953 following many years of fund raising and was extended and refurbished in 2001 with help from the National Lottery, Somerset County Council, South Somerset District Council, Taworth and Forton the Parish Council, The Countryside Agency and many private donations. 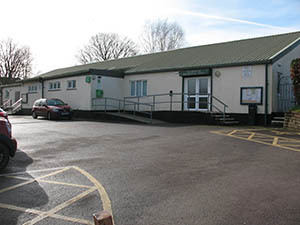 The Hall is a registered Charity held in trust by trustees who form the Management Committee. The trustees are responsible for the management of the Hall, its finances and for keeping it in a good state of repair. Seven trustees, residents or the Parish are elected annually at the AGM. In addition, eight local organisations have the right to nominate a trustee. A list of the current trustees may be found on the Hall's notice boards. The Hall receives no public money and is entirely dependent on hire charges and fund raising activities to cover running costs which currently amount to £300 a week. The Hall is used almost every day of the year for a variety of activities including the Women's Institute, Horticultural Society, Bridge Club, Flower Club, Table Tennis Club, Lace Group, The Residents' Action Group, U3A Art Group, Calligraphy Classes, the Parkinson's Support Group, a visiting Chiropodist, Complementary Therapists, Art Group, Parish Council meetings, the Church Plant Sale and Bazaar, national and local elections, a weekly cafe "Wendy's Kitchen", monthly roast lunches, Craft Group, Pre-School events, fundraising events and a very popular monthly film show and annual pantomime. Contact details for these activities may be found in the Drift, the bi-monthly Parish Newsletter. The Hall will meet all your social and business needs. It offers flexible accommodation for groups large and small and is the ideal venue for meetings, training sessions, parties, films shows, dancing and concerts. The main hall with its original wooden floor seats 120, has a large stage and a drop-down projection screen. The adjoining large a bar has direct access to the well-equipped kitchen. The Brewer Room will accommodate 30 at tables or 40 seated in rows. It also has a projection screen and facilities for refreshments. The Stonham Room will comfortably accommodate 25 for meetings. It has screens, a couch and facilities for complementary therapies. 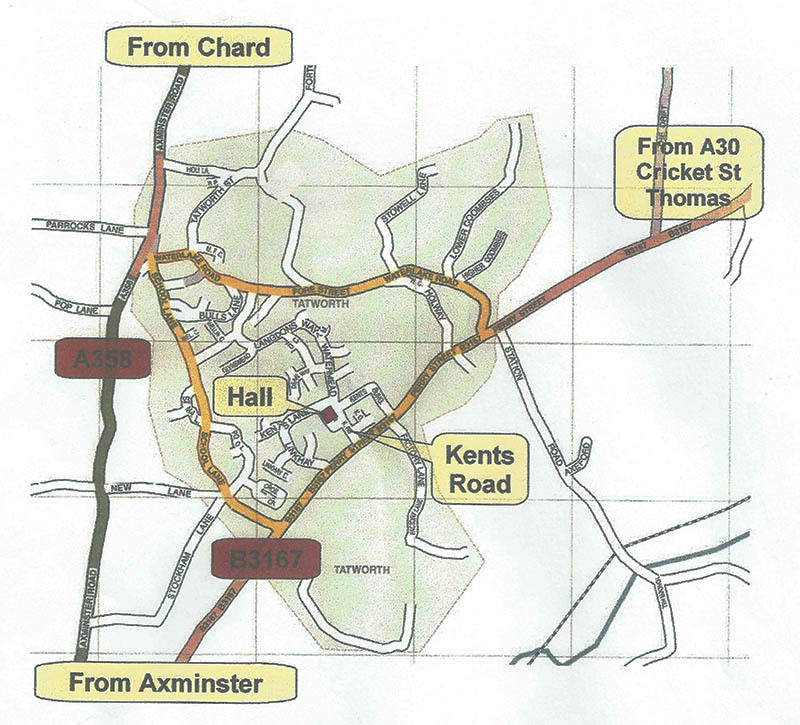 The Hall is situated in Kents Road, in the centre of Tatworth, 2 miles south of Chard and 4 miles north of Axminster. From Chard take the A358 in the direction of Axminster and turn left at Tatworth Church. Follow the road to a T-junction with the B3167 and turn right. Take the third turning on the right which is signposted to the hall. From Axminster take the A358, direction Chard. Just after Tytherleigh turn right onto the B3167 and after entering Perry Street take the next left turn after the McColl's Stores which is signposted to the Hall. For further information and details of availability please contact our Booking Secretary, Nick Bernard (tel: 01460 220339). There are two ramps leading from the car park to the main doors. Tables and chairs are available and are easily accessible for all meeting rooms. There are baby changing facilities, and a toilet for the disabled at each end of the building. © Tatworth Memorial Hall. All Rights Reserved. Design by Vision ICT Ltd.